Bassett Business Units is a smart business centre on the edge of North Weald airfield, close to both the M11 and M25. London Stansted Airport is twenty minutes drive away and a London Central Line station is nearby at Epping. 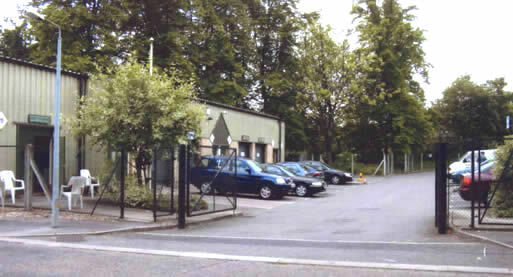 The office/light industrial units are 250 sq ft and 500 sq ft in size. They enjoy secretarial and administrative back-up from the friendly staff who offer a full range of services from telephone answering by way of typing and invoicing, to taking in deliveries. The new state-of-the-art telephone system has instant access broadband and voicemail facilities. A conference room is available and each unit has its own on-site parking. For those not ready for premises, BBU offers a “virtual office” facility. This comprises a dedicated telephone line answered in your name, together with a mailbox, all at a very reasonable weekly charge. Secretarial services and conference room are available to non-tenants. If you are looking for office space, light industrial units or a virtual office in the West Essex area, then contact Pip Ambrose on 01992 524111 or email pip.ambrose@bassettbusinessunits.co.uk to see how she can help you.